If you’ve determined what size of compressor you need and the engine requirements to power that compressor the next important step is to ensure that the combination is going to operate optimally in your working environment. In the case of mobile compressors this may include high altitudes, dirty environments and large ambient air temperature fluctuations. For this article, we will focus on the different methods of rejecting the heat generated by your compressor system. The compression of air generates heat, lots of it. In fact, most of the input power to a compressor is converted into heating the air being compressed. This heat energy must somehow dissipate to the environment, or the system will overheat and may be damaged. Compressor system cooling is typically achieved by one or more of the following methods. 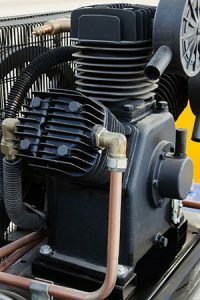 This is common in small piston style compressors with large cooling fins cast as part of the cylinders and heads to dissipate the heat to the surrounding air. The fins need to be designed to handle the heat generated vs the ambient temperatures. If dirt and debris accumulate on the fins, the cooling effectiveness will be reduced and may eventually result in overheating and damage to the compressor. The extra material that makes up the fins, often cast iron, adds significant weight to the compressor. The addition of cooling fins adds size to the compressor, making it hard to fit it into tight spaces. Space and ventilation requirements to allow for sufficient airflow around the compressor further restricts the areas it can be mounted in. Cooling performance, especially duty cycle, is heavily dependent on the ambient temperature. In cold weather, the compressor may not reach operating temperature which can cause lubrication issues and accelerate compressor wear. This is common in larger piston style compressors as commonly found on large on-highway trucks. The engine coolant is circulated through the compressor cylinder head and block before returning to the truck’s cooling system. Keeps the compressor cool but doesn’t directly cool the compressed air. This results in very hot discharge air temperatures. Adding heat into the engine’s cooling system can sometimes require a larger engine radiator and/or fan to manage the higher heat rejection requirement. This type of cooling system looks similar to the radiator found in most vehicles and the operating principle is the same. The hot compressor oil runs through the cooler while air is passed through the cooler core by means of an electric or engine powered fan causing heat transfer from the hot oil to the cooler ambient air. It is commonly used in higher capacity, oil-flooded rotary screw compressors where the oil is used to lubricate the moving parts and remove much of the heat of compression. Cooling components are physically separate from the compressor allowing the cooler to be located in the area where cooling performance is best, or where there is more space. 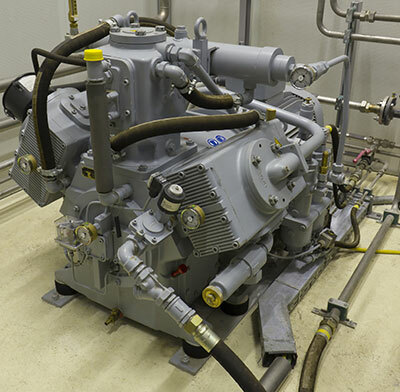 Compressors without cooling fins can be more compact and fit into smaller spaces. Locating the compressor in hot, enclosed spaces is possible. Effective cooling in wider temperature ranges. More direct control of compressor and lubricant temperature via fan control. Heat rejection capacity is easily scalable by adding larger coolers and/or fans. 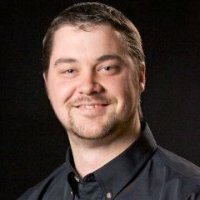 Cooling system doesn’t tie into, or require other equipment systems. Both the compressor and the compressed air are cooled resulting in lower air discharge temperatures. The cooler, fan and associated controls and plumbing adds size, weight, cost, complexity, and possible failure points to the system. These are also commonly used to cool oil-flooded rotary screw air compressors, this type of cooling system typically relies on tapping into the cooling system of the engine used to power the compressor. The compressor oil and engine coolant both pass through a heat exchanger (often shell-and-tube or plate type) where the compressor oil travels through the cooler on one side, and engine coolant through the other. The heat added to the engine coolant is then dissipated by the engine’s radiator, which is a liquid-to-air heat exchanger. At first glance, this may seem like an inefficient system as we have one cooler and then another, but it does provide some benefits. In cold environments, or when the compressor is first engaged, the engine coolant warms the oil which gets the compressor up to operating temperature sooner. The heat rejection of both the engine and compressor can be managed in one location by a single radiator. That means no need for multiple radiators, conflicting air flows, multiple fans, or control systems. Fewer components means fewer failure points and higher reliability. 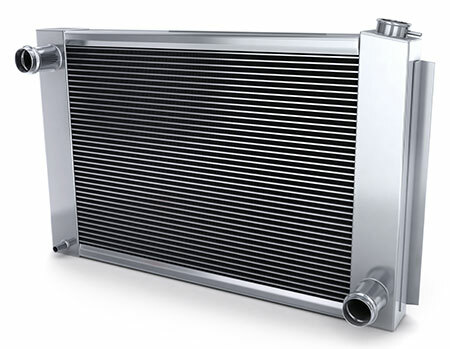 The type of heat exchanger is typically much smaller than an equivalent capacity radiator. This typically means it is lighter, smaller and more cost-effective. Less flexible on mounting location as the heat exchanger needs to be located near the engine’s radiator. Connecting into the radiator lines can be difficult depending on the space available and routing of the lines. Determining which type of cooling system is best for your application is an important step in the design of your compressor system and should be discussed with your compressor and engine supplier to determine what will best suit your needs.